What I love about this recipe is that the stuffing can be made up in advance, making these tasty little numbers very easy to put together when you are ready to cook them. They are ideal as a light lunch or served with a salad as they are so full of flavour. 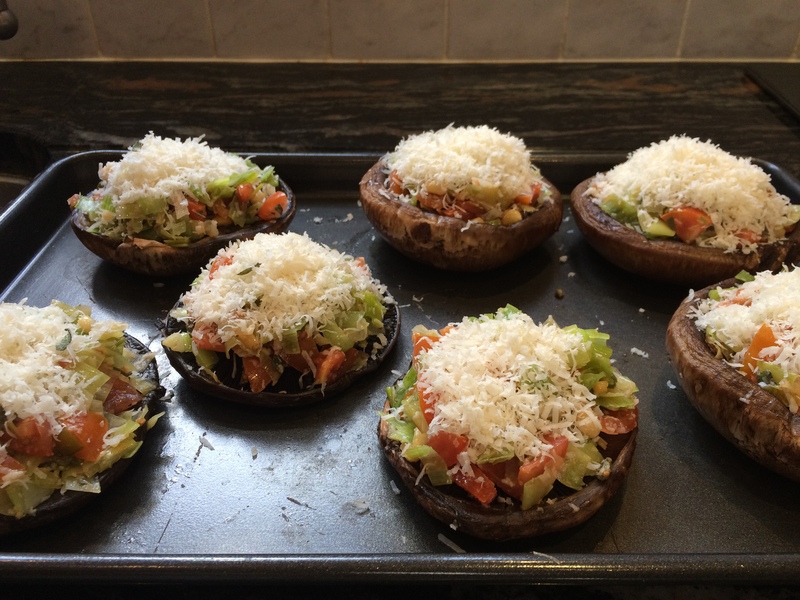 This recipe makes 8 stuffed mushrooms which could serve up to 4 people. Heat 1 tablespoon oil in a large fry pan, place over a medium-high heat and fry the mushrooms on each side for about one minute, then put to one side. In the same pan, add the remaining oil and gently fry the leeks for about 10 minutes until soft and tender. 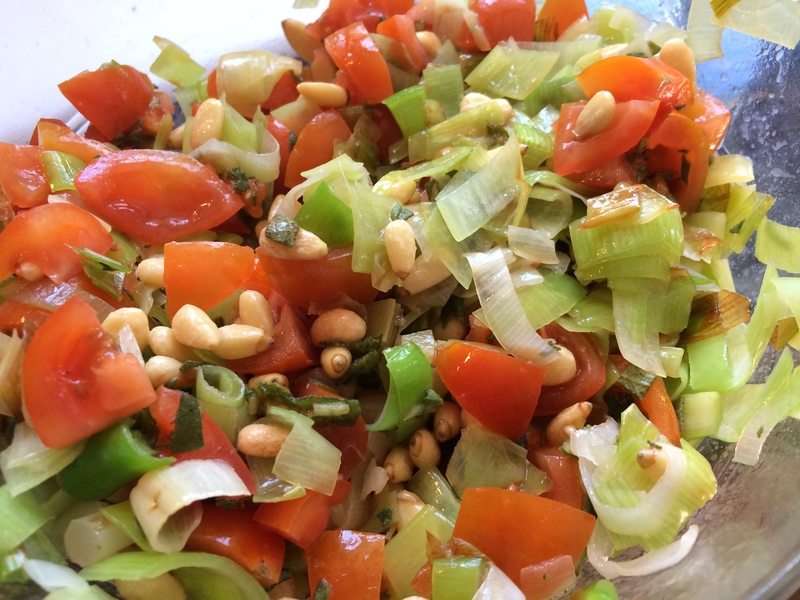 Put the leeks in a bowl with the chopped tomatoes, the herbs, nuts and half the cheese and mix well. Place the mushrooms in a baking tin or ovenproof dish and top each one with the leek and tomato mixture. Sprinkle over the remaining Parmesan and cook in a 200C oven for 15-20 minutes until golden on top. Leave to stand for five minutes before serving warm. Recipe adapted from Nina and Jo Littler’s book Thrive on Five. This entry was posted in Brunch, Dinner, Lunch, Vegetarian and tagged Dinner, Gluten Free, Healthy Eating, Leeks, Lunch, Mushrooms, Parmesan, Supper, Tomatoes, Vegetarian. Bookmark the permalink.